Apex is committed to bringing our clients the best in food and beverage equipment. It's no surprise, then, that Perlick underbar equipment was recently awarded the Best-in-Class Award from Foodservice Equipment and Supply Magazine for the 13th year in a row. This award includes honors from both consultants and dealers, as well as the overall award for Best-in-Class underbar fabrication. It's reflective of Perlick's drive to produce not just innovative equipment like the Tobin Ellis Signature Cocktail Station, but to create equipment that is made with best-in-class craftsmanship and design. Foodservice operators, dealers, and consultants vote in Foodservice Equipment and Supplies magazine’s annual Best-in-Class study to honor the best foodservice equipment and supplies manufacturers based on seven performance targets: product quality, product value, product design and aesthetics, service and support, sales representation, product inventory and availability, and product information availability. FE&S presents the results from the 2016 Best in Class study, where foodservice professionals were asked to rate individual factories on a list of specific attributes. To get a first-hand look at how Perlick's underbar equipment is revolutionizing the industry, we'd suggest watching this entertaining yet informative video from Tobin. Tobin Ellis is a world-class bartender who helped design what is referred to as the "bartender's cockpit." Enjoy a laugh or two and see how Perlick underbar equipment can actually help bar owners and operators increase profits. 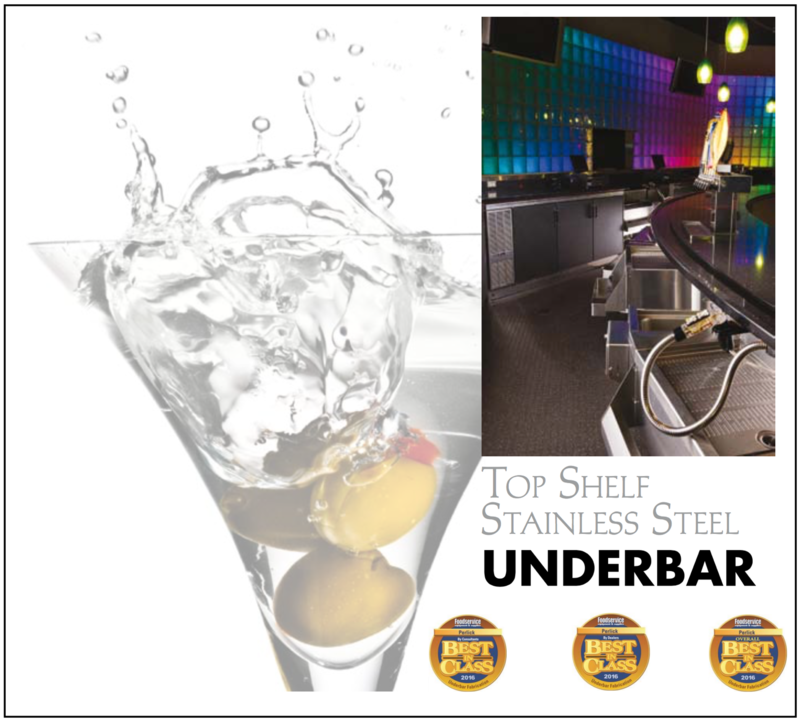 Now that you know who makes the best underbar equipment, take a look!